Sometimes a tree gets to the point where it is necessary to say goodbye to it. It can be a painful choice to make, but sometimes the tree gets too close to the house, gets too diseased, gets an incurable infestation of some pest, or grows too tall and gets close to a power line. If any of these things occur, it’s best to do the right thing and get rid of the tree. Although you might have spent hours and hours getting the tree to where it is today, it is almost dishonorable to the tree to allow it to suffer in bad conditions. Having it removed by an Experienced Tree Care Service can save you time and money. Once you have made the choice to remove the tree, you need to plan its removal. I can’t begin to count how many windows I’ve seen knocked out or cars I’ve seen crushed because of poor planning in the tree removal process. Decide what direction you want it to fall, and accurately measure to make sure it will fall completely clear of anything else that it could possibly cause damage to. If you don’t have experience in removing trees, it is best to hire an Experienced Tree Care Service. Now that you’ve taken all the necessary precautions, you are ready to begin chopping. If you plan on using a manually operated saw or axe, please step back and consider how insane that is. Chopping down a tree by hand will take you forever, and will not even begin to be as accurate as using a chainsaw. If you don’t have a chainsaw, you shouldn’t even consider doing it without one. Ask around with your neighbors and see if anyone has one that you could borrow. If that doesn’t work, your best bet is to hire an Experienced Tree Care Service. Before you start chopping away at the tree, you should wear proper eye and face protection in case any wood chips fly towards your eyes. I had a friend who blinded his right eye while cutting down a tree, so I hope all of my readers do not make the same mistake as he did. Whenever you operate a power tool, always be sure to wear proper protection for any exposed parts of your body. This is just another reason that hiring an Experienced Tree Care Service is a good idea. When making the cut, you do not want to just cut a straight line into the tree. It is best to cut a sideways “V” into the tree. This is because if you cut the straight line, the tree will end up rolling to one side or the other. If you cut in a “V”, the tree will be able to fall in the exact direction that you want it to fall. Occasionally it might be a few feet off due to human error during the cutting process, but if you have some strong friends pull on the ropes you tied, you can line it back up with the path you wanted it to take. This is not something to take for granted. Removal of the stump can be slightly more difficult. You have several choices; you can rent out a stump chipper that will completely destroy the visible section of the stump. Or you can spend countless hours digging it out. Digging out the stump is much more thorough, but takes forever. This can be done for stumps about 1 foot in diameter, but digging probably won’t work for stumps much larger than that. Anything larger would require someone with a lot more experience and the right tools, such as an Experienced Tree Care Service. Feel free to contact us today to have your old tree removed. 248-678-8555 – tree services at affordable prices! 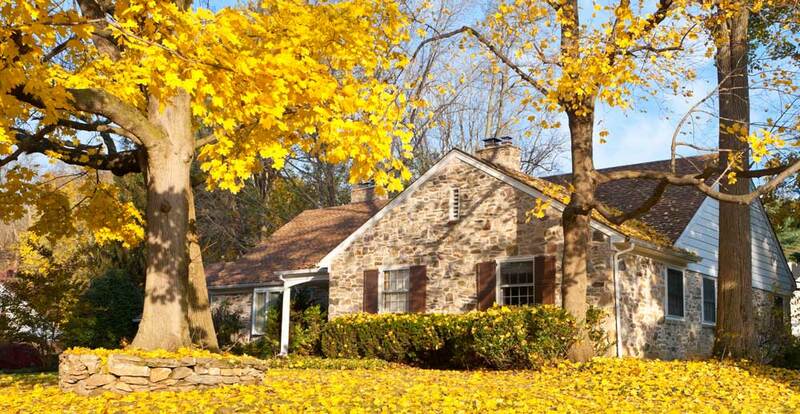 Root Tree Service, Inc. is a well known tree care company in the Rochester Hills, MI area.